The Fox Theatre Policy is designed to assist you in understanding how our site collects and uses and safeguards your personal information you provide to foxtheatre.org. When you visit this site you may provide foxtheatre.org with two types of information: personal information you actively choose to disclose (“Active Information”) through making a purchase or contacting foxtheatre.org, and use information collected, in a way not visible to you, on an aggregate anonymous basis as you and others browse this site (“Passive Information”). No person under 13 should disclose information on this site. You may learn more about protecting children’s privacy online by visiting www.ftc.gov. If you make a purchase through the Fox gift shop on-line or contact us via a contact form, foxtheatre.org collects your name, billing address, billing phone number, email and credit card information. 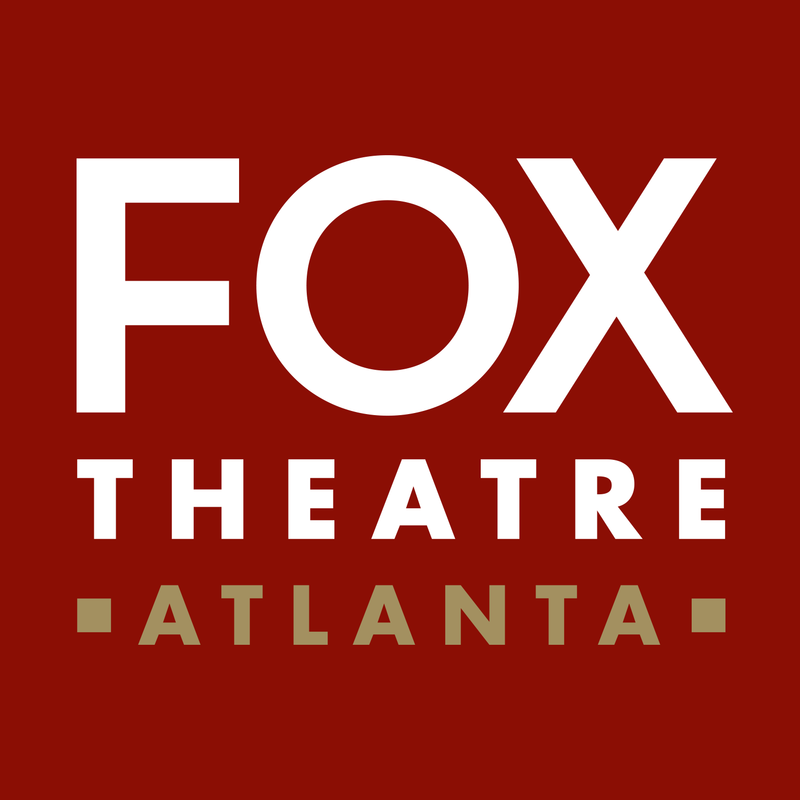 Foxtheatre.org uses this information only for processing your order and to contact you via email if you indicated that you wish to receive an email notification of updates or new forms. Your credit card number is not stored on this site. If you choose to contact foxtheatre.org via email, regular U.S. mail or telephone, foxtheatre.org may also retain such information. Our site utilizes a standard technology called “cookies” to collect information about how this site is used. Passive Information gathered might include the date and time of visits, the site pages viewed, time spent at this site, the sites visited just before and just after this site. Passive Information is collected on an aggregate basis without any association to your personal information so that you remain anonymous. If you do not wish to transmit “cookie” information about yourself, you may turn off the cookie function in your web browser; please consult the “Help” section of your browser to correctly do so. We use Passive Information to gather information and to enhance and design this site to make it easier, faster and friendlier to use. Additionally, cookies help foxtheatre.org know information about how many people visit this site, when they visit and how they use this site. We do not connect any of this information to your personal information or email address. We may be required by law or government agency to disclose both Active and Passive Information you have provided to foxtheatre.org and will do so if required by law or subpoena, or for enforcement of or claims regarding our purchase agreement license. If you desire not to receive information from foxtheatre.org or if you wish to access, delete or correct your information, regarding your transaction purchases on-line, please send an email. We secure the use of your credit card using secure sockets layering (SSL), a protocol developed by Netscape for transmitting private information via the Internet. SSL works by using a public key to encrypt* data that is transferred over the SSL connection. Both Netscape Navigator and Internet Explorer support SSL, and many websites use the protocol to obtain confidential user information, such as credit card numbers. This protocol is approved by the Internet Engineering Taskforce as a standard. *Encryption is the translation of data into a secret code and is one of the most effective way to achieve data security. To read an encrypted file, you must have access to a secret key or password that enables you to decrypt it. Unencrypted data is called plain test; encrypted data is referred to as cipher text. By using your credit card for your purchase, you agree to pay the amount charged for that purchase, you agree that you are over 18, and you agree to provide truthful information regarding the card and your name and information. You agree to defend, indemnify, and hold harmless Fox Theatre Inc, its employees, contractors, officers, agents and directors from all liabilities, claims, and expenses, including attorney’s fees, that arise from your use of our merchandise, this site, or any services or products from this site. The Silver Law Inc. reserves the right, at its own expense, to assume the exclusive defense and control of any matter otherwise subject to indemnification by you, in which event you shall cooperate with Fox Theatre Inc, in asserting any available defenses. Our web site or any portion of our web site may not be reproduced, duplicated, copied, transmitted, sold, resold or otherwise exploited for any commercial purpose that is not expressly permitted under these Terms and Conditions. Except as specifically permitted by these Terms and Conditions, using our Web site does not confer, by implication, estoppel or otherwise, any ownership right to our Web site as a whole or to any individual elements of our Web site, without regard to whether such elements are subject to copyright or trademark protection. The application of our Web site, into any other site, is strictly prohibited unless pre-approved in writing by Fox Theatre Inc.
Fox Theatre Inc. reserves the right to refuse service in its sole discretion, including, without limitation, if Fox Theatre Inc. believes that a customer’s conduct violates applicable law or these Terms and Conditions or is harmful to the interests of Fox Theatre, Inc. or its affiliates. Any conduct by you that, in our sole discretion, restricts or inhibits any other person from using or enjoying our Web site will not be permitted. Our Web site may only be used for lawful purposes. You are prohibited from posting on or transmitting through our Web site any unlawful, harmful, threatening, abusive, harassing, defamatory, vulgar, obscene, adult-oriented, profane, hateful, fraudulent, prejudiced or otherwise objectionable material of any kind, including, but not limited to, any material encouraging conduct that would constitute a criminal offense, give rise to civil liability or otherwise violate any applicable local, state, national or international laws. This agreement also mandates that robots, spiders, Web crawlers, Web ants, worms, wanderers, Web agents and other “bots” that visit our Web site are Standard for Robot Exclusion (SRE) compliant robots (“robots”). Violation of any of the robot access policies may result in termination of your access to our Web site, preclusion of any further access to such files or our Web site, without prior notice. You agree not to access our Web site by any means other than through the interface that is provided by us for use in accessing our Web site. By using foxtheatre.org, you are consenting to receive e-mail from us unless you advise us in writing or by e-mail that you do not desire to receive e-mail from us. By sending an e-mail to our Customer Relations department and providing your e-mail address, you are consenting to receive responses via e-mail. Foxtheatre.org ships our merchandise via UPS and the UPS OnLine® Tools Tracking. Customers track their shipments directly from our gift shop using their our reference or order number. When you place an order with foxtheatre.org, one of our customer service representatives can view specific details about the shipment, including the time and location of each scan as the package moves toward your final destination. Shipping costs for orders from foxtheatre.org depend upon the methods and options you choose. If you choose to group items into as few shipments as possible, you’ll be charged for one regular per-shipment fee, as well as a per-item fee for each item in that shipment. If you choose to ship items as soon as they become available, we’ll charge you full per-shipment fees for each shipment as well as a per-item fee for each item. Shipping rates for many items we sell are weight-based. The Fox Theatre also includes a handling and packaging fee which will be included in your total shipping costs. All weights may be rounded up to the next full pound in accordance with many delivery companies.